Are you looking for a fabulous way to add some glam to your style? 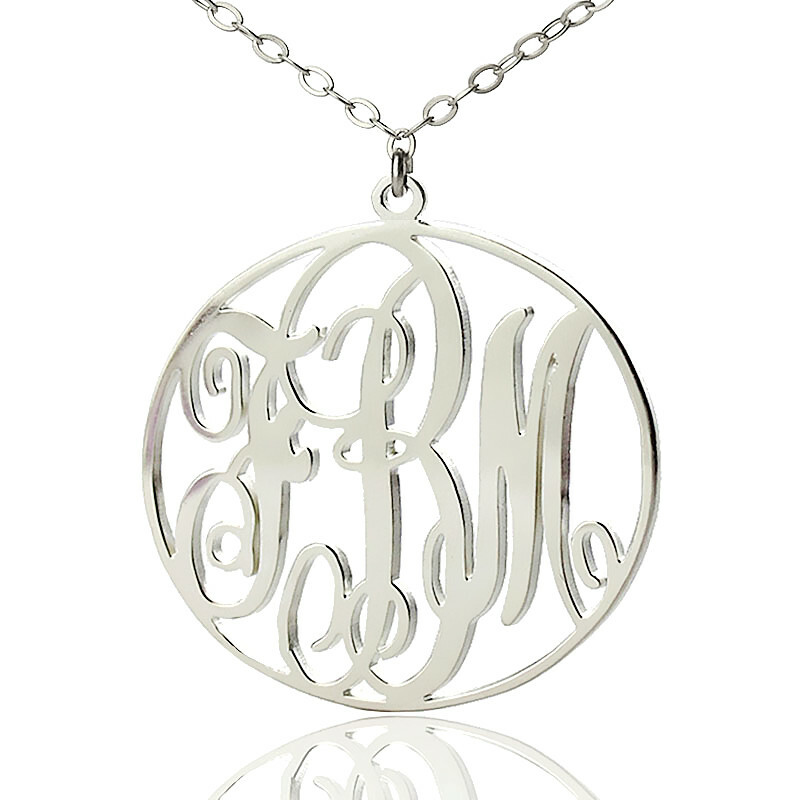 This gorgeous monogram necklace is just the perfect pick. It is made from a hand drawn scrip font to create a stunning piece of jewelry that will display an aura of class when worn. 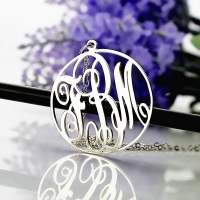 The design is unique in that any three initials of your choice can be engraved on the sparkling white gold. 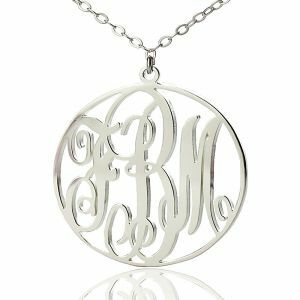 A circular frame encloses the letters in a classic style, while the monogram is held in place by a beautifully designed twist chain. 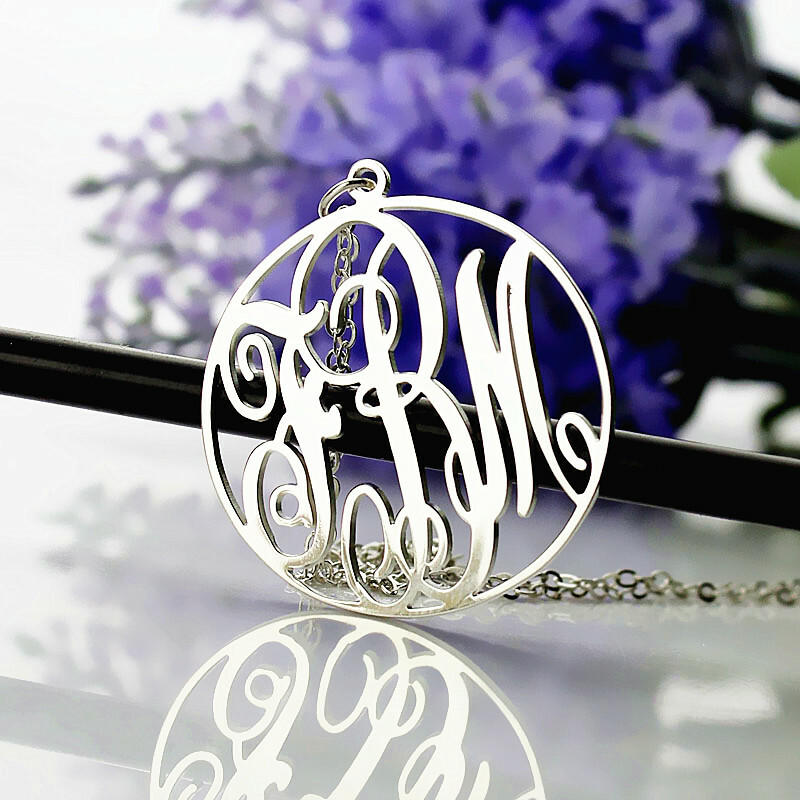 Personalized with any three letters of your name, this name necklace will help you show off your individual sense of style in an elegant way.